As the first exclusively cyber-focused venture firm, our premise is simple: Invest in and support the best entrepreneurs focused on protecting both countries and companies digital assets and infrastructure. With nearly all of our first fund deployed across 14 incredible companies, we’re delighted to share that Mark Hatfield and I have successfully raised our second growth fund, the $140 Million “TEG II.” This fund builds upon the success of 2015 vintage TEG I that has invested in growth stage security businesses including Darktrace, Ionic Security, Ping Identity and Optiv. What’s even more exciting is the fact that in addition to large re-upping from our first fund LPs, we’ve successfully added several new LPs into TEG II. Notable as a first time LP in TEG II is Temasek, an investment company headquartered in Singapore. Ten Eleven will work with Temasek as we further expand our global investment strategy into several new geographic regions – including Southeast Asia. Already 50% of the Ten Eleven portfolio has reached the point of scaling operations far enough to open Asian regional offices, and 100% of those have chosen to locate in the emerging cybersecurity regional hub of Singapore. By adding Temasek to our existing group that includes our partner KKR, we are excited to continue our successful security investment strategy that we employed in our inaugural fund. And TEG II allows us to be an even stronger dedicated player in the early growth segment of global security venture capital. To date, our unique approach of partnering with KKR for growth and later stage investments has enabled us to invest across all stages and all geographies within the digital security space. We will continue our original multi-fund and multi-decade relationship with private equity leader KKR, who today has 119 total portfolio companies, notable in cybersecurity is Optiv (the largest reseller of security services in North America) and has co-invested in four other companies with Ten Eleven via their Joint Investment Alliance. As we now have $250m under management across three funds and have invested in 15 portfolio companies, we’re also delighted to share that we’re growing our team and have hired Brian Draves as a partner and Chief Operating Officer. 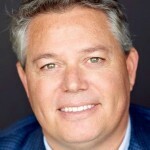 Brian is the former General Counsel at Techstars and has decades of experience in digital security and venture capital, having worked with me as General Counsel and Chief Administration Officer at PGP Corporation from 2004-2010. His domain expertise stems from his key roles with Cooley, OneID, Reputation.com and Techstars. Ten Eleven has had great success as the pioneering firm for digital security venture capital. We currently have active portfolio companies in California, Massachusetts, Washington D.C., Colorado, Georgia, Texas and Oregon as well as internationally in the United Kingdom and Israel. Our competitive advantage in investing at any stage derives from our insights into all stages. And there have already been two realized gains in the first two years from the inaugural funds, with Ping Identity, a leader in identity defined security, selling to Vista Equity Partners in 2016 and Hexadite, an Israeli-based early player in security orchestration and automation market, selling to Microsoft in 2017. The vintage 2015 funds are already both top quartile performers against the Cambridge Associates benchmark. Our very early investment thesis on applications of artificial intelligence (AI) and machine learning (ML) in the cybersecurity field has been foundational to the strong beginning. Mark and I were the two original VCs/board members of one of the earliest AI/ML cyber investments in Cylance, which is today one of the largest and fastest growing private security companies in history and a leader in the next generation endpoint security world. Additionally, in 2015 together with alliance partner KKR, we backed early network security player Darktrace, which was founded by Cambridge University mathematicians and former GCHQ teams in the UK. Darktrace is widely regarded as one of the leading players in the use of AI/ML for network security and also is believed to be one of the largest private security companies in the world. More recently, we’ve invested in Jask, a rapidly growing company using AI/ML in the security operations center (SOC) and an unannounced investment in AI/ML security for the emerging Internet of things “IoT”. With the addition of Brian and this new growth fund, Mark and I look forward to creating and building the next wave of best-in-class cybersecurity companies that protect both countries and the digital assets and infrastructures of organizations worldwide. We are thrilled to begin the next chapter of our exciting journey and hope our partners, colleagues and fellow community members feel the same.